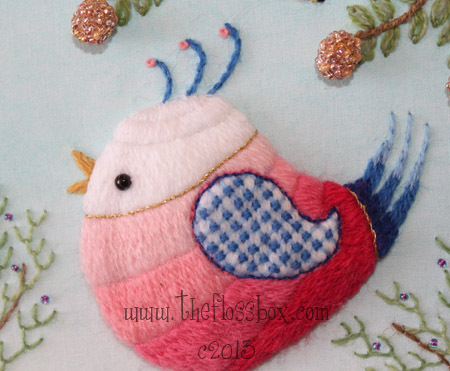 I had the idea in my head, but it didn’t quite take it’s full shape until one of the commenters on Stitchin Fingers left a comment on the Folk Art Crewel Bird that it made her heart sing. And don’t forget to hear the bird’s songs. They are full of the joy of living. 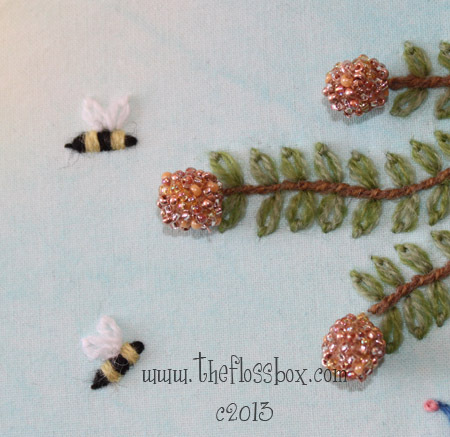 This piece is so cheerful, it DOES make your heart sing. I love it. that bird is just gorgeous!! This is wonderful. I love birds and this has such delightful happiness. Are you going to sell the pattern by any chance? 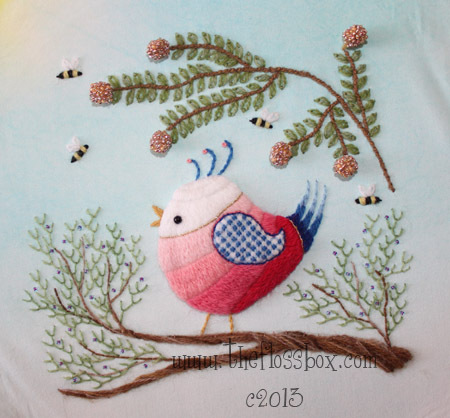 Very nice embroidery design I love bird color combination for thread and also very honey bees.very nice post.